“Hi Steve. 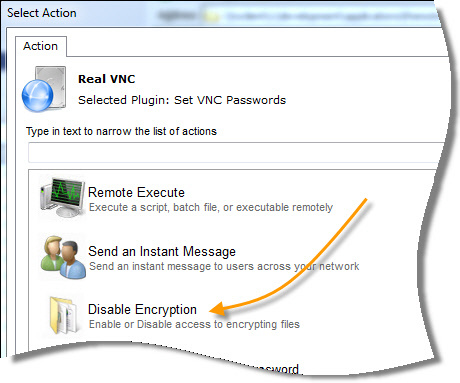 I have been using Network Administrator for a while now, and I was looking for a way to disable file encryption. Here is my situation. From time to time we have employees who get adventurous, or are overly paranoid. They decide to encrypt a folder. Then later their account is removed and then the folder is totally inaccessible. I know exactly what Mike is talking about. Even more seriously…some versions of windows have a bug that prevents you from accessing encrypted folders after you change your password! To disable this feature in Windows you can use the latest version of Network Administrator. Then just point it at the computers you want to disable (or enable) encryption. 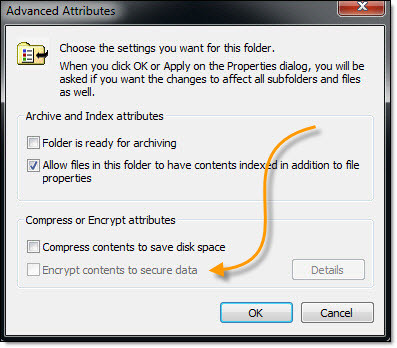 Then add a new value called NtfsDisableEncryption and set it to one. A reboot is required to see the change. Steve this is a great one. I have users that do this all the time. On their laptops. When you do get locked out of an encrypted folder it is quite a nightmare. What if the user already has encrypted folders. What will happen to those? They will be fine. Any encrypted folders the user still has…will still be accessible. I made the mistake of encrypting some photos I scanned and there were hundreds in Alberta at a friends place. I don’t have the Microsoft key for her windows version. Now I’ve got my external harddrive home and can’t open the photos I scanned. I don’t need software for a whole network, only to de-encrypt the files on my external hard drive. What do you recommend I use? Thanks so much! export the friends cert and install it on the computer you wish to decrypt. 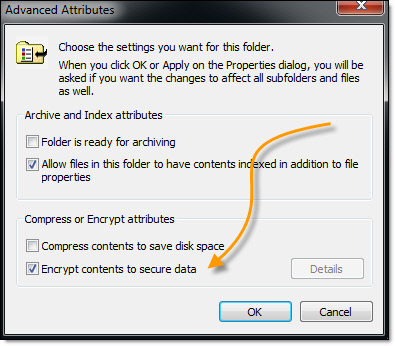 I had encrypted a folder using NTFS encryption on Windows 8. I didn’t backup the encryption certificate and changed the OS to Windows8.1. Now I am not able to access any encrypted data. How can I fix this? You are out of luck. As far as I know there is no way to recover. Essentially it would be the same as if the data was deleted.